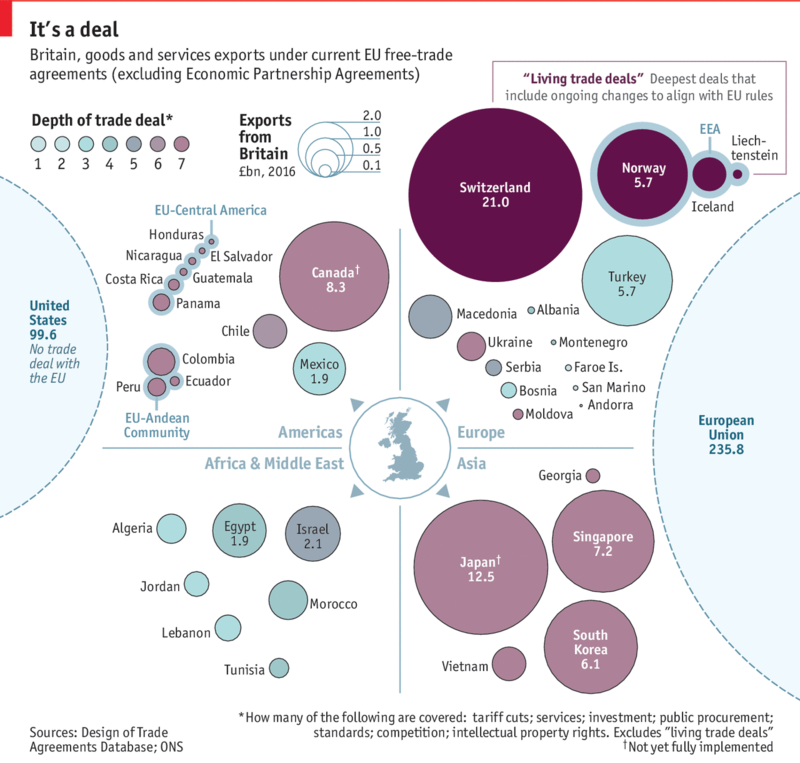 I know I have said it before, but I like the increasing number of graphics-led articles published by Politico. 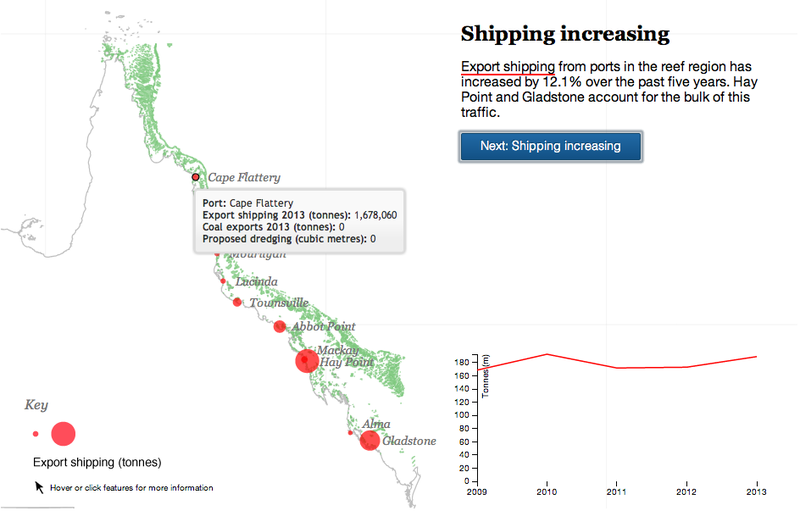 Many policy and politics stories are driven—or should be driven—by data. But, myself included, we cannot hit it out of the park at every plate appearance. And that is what we have from Politico today, actually last week. The graphic focuses on the healthcare industry and its need for a larger labour force in coming years as the baby boomers continue to age and start to retire. If their own doctors retire along with them, who will be their new doctors? But there are two components of the graphic on which I want to focus. 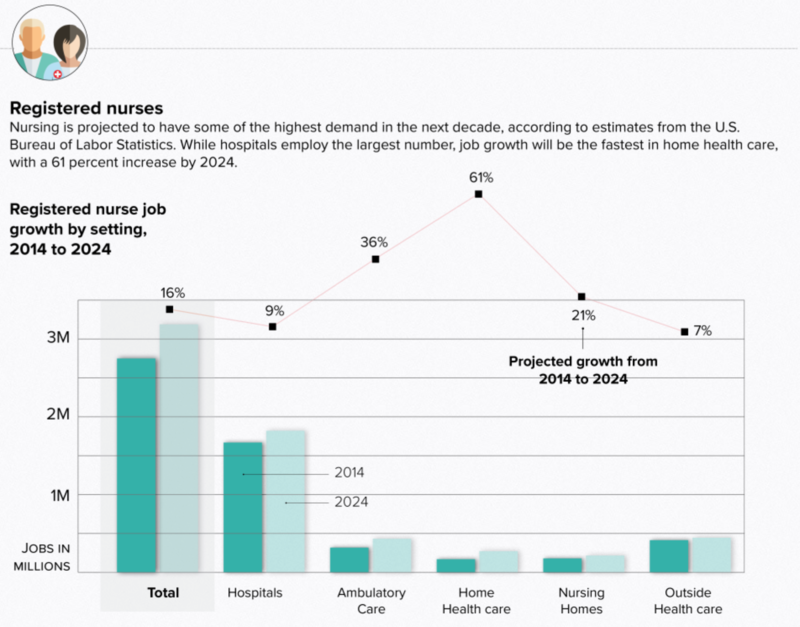 The first is the projection of the number of registered nurses (RNs) in 2024 compared to a 2014 baseline. We need more. Just more. The story focuses on the future condition, but that colour is set to the lighter green thus drawing the reader’s eyes to the 2014 data point. Flipping those two colours would shift the focus of the chart to the 2024 timeframe, which would better match the text above. Then we have the design decision to include a line chart for the growth rate, presumably total, for each category of RN from 2014 to 2024. The problem is that the chart itself does not sit on any baseline. 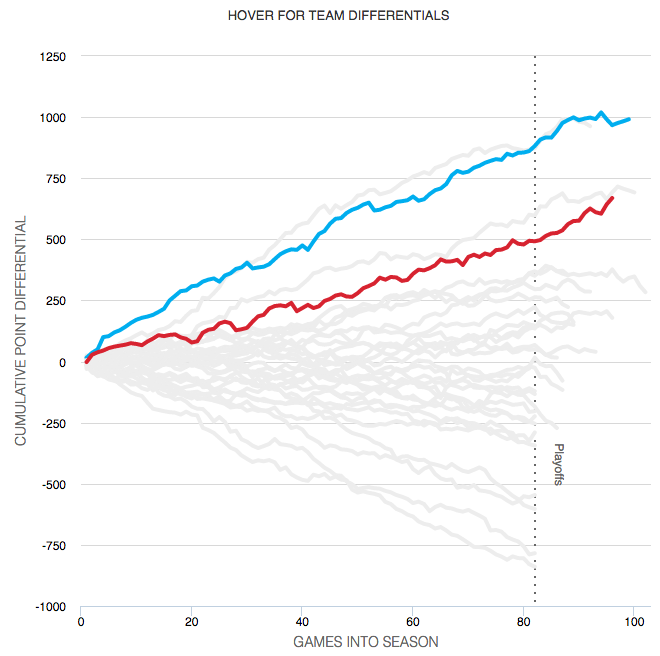 While I do not care for the dual axis chart, that format at least keeps an axis legend on the right side of the chart. (You still have the problem of implying certain things based on what scale you choose to use relative to the first data series.) Here, because there is no chart lines associated with the growth data, I wonder if a table below the x-axis labels would be more efficient? Home health care, a very small category, will have the highest growth (a small change from a small base will beat the same small change or even slightly bigger changes from a far larger base) but the eye has the furthest to travel to reach the 61% number from the top of the bars or the labelling. The other component I wanted to discuss is the scatter plot that compares the number of jobs to their average salary. 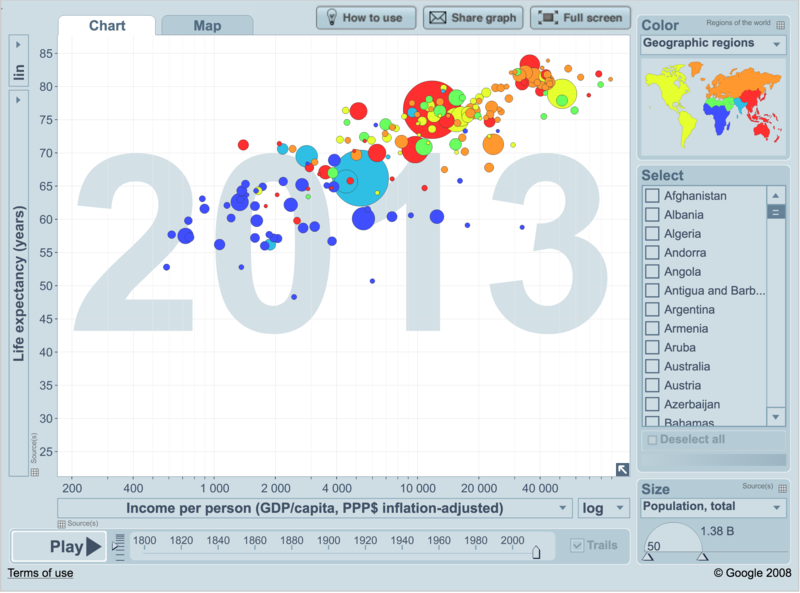 But this is a bubble chart, not a scatter plot, and so we have a third variable encoded in the size of the dot/bubble. The first thing I looked for was a scale for the size of the circles. What magnitude is the RN circle vs. the Personal Care Aides circle? There is none, but unfortunately that seems to be a common practice with bubble chart. But after failing to find that, I noticed that the circles decrease in size from right to left. That was when I looked to the legend and saw the y-axis in numbers of jobs and the x-axis in average salary. 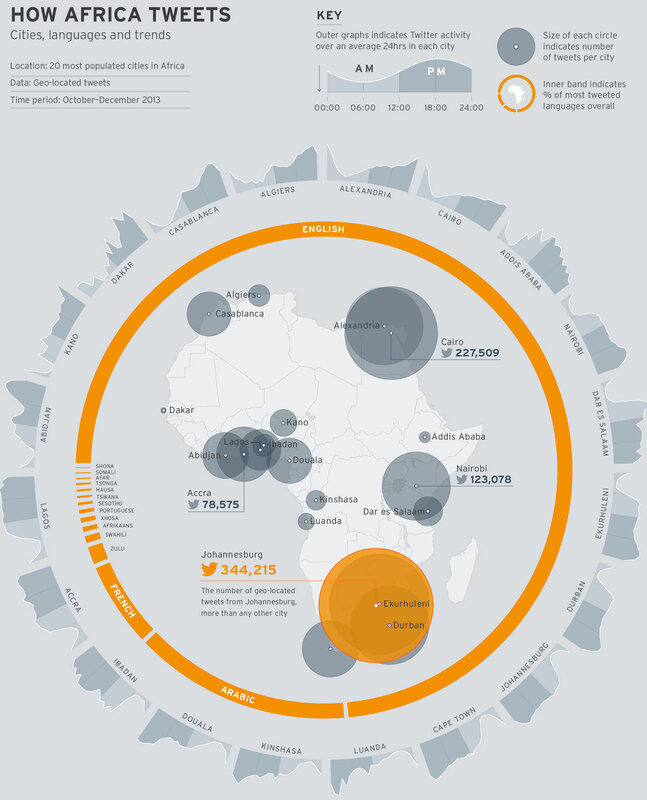 But then the circles are sized in proportion to the average salary of each profession to the other. In other words, the circles are basically re-plotting the x-axis. The physical therapist circle should be roughly twice as large, by area, than the vocational nurses. But we can also just see by the x-axis coordinates. 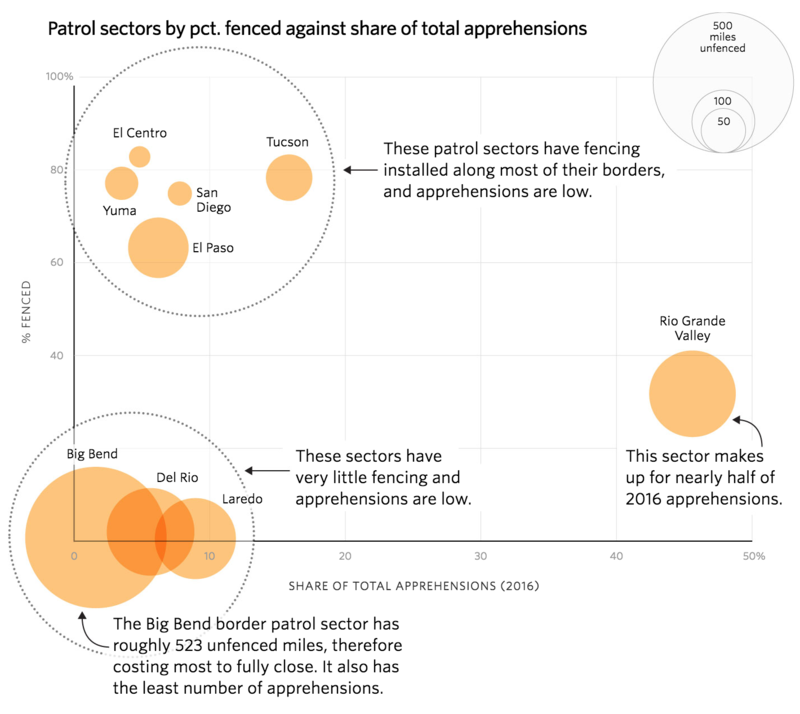 The bubble chart-ness of the chart is unnecessary and the data could be told more clearly by stripping that away and making a straight-up scatter plot where all the circles are sized the same. Credit for the piece goes to Christina Animashaun. It’s easy to miss the news these days. But as a designer who does a lot of work—and writes a blog about—data visualisation and information design, I was fortunate to catch the word that Hans Rosling died. You might know him best from his TED talks, but I became familiar with him through his Gapminder project. Do I agree with the design decisions? Of course not, just ask anyone who has asked me anything about bubble charts. But that is not the point. He and others laid the groundwork for myself and those newer to the field to work on the presentation of data, and its integration into analysis. Unfortunately his death comes at a time when the field of data visualisation comes under threat. Not from the Chinese stealing our jobs, or robots doing them better for cheaper, but from those who assail the veracity of data and fact itself. Hans Rosling, dead at the age of 68.
Credit for the piece goes to Hans Rosling. Some of the nation’s fastest growing cities are inland, away from the coast where housing prices are high. To support an article about the demographic shift, the New York Times created this map. Circle size represents growth over a six-year period while the colour of the bubble represents housing prices. Your humble author is away this week. But the Great Barrier Reef in Australia is still here. For now. The Guardian takes a look at the growing threat to the World Heritage site from the coal industry in Queensland, Australia. The author takes you through the narrative in a chapter format, using charts and maps to illustrate the points in the brief bit of text. A really nice job altogether. Credit for the piece goes to Nick Evershed. It’s Friday, so we should try to take things a bit lighter. For me that usually means knocking back a drink or two and a swear-y exultation about it being the end of the work week. But, it turns out, I’m just trying to emulate our captains of industry. Bloomberg has gone through company conference calls and tabulated the number of swear words used and charted the results. And for fun, you can read some of the excerpts. Credit for the piece goes to David Ingold, Keith Collins, and Jeff Green. Today’s piece is hit and miss. It comes from the World Economic Forum and the subject matter is the use of Twitter across Africa. I think the subject matter is interesting; mobile communication technology is changing Africa drastically. 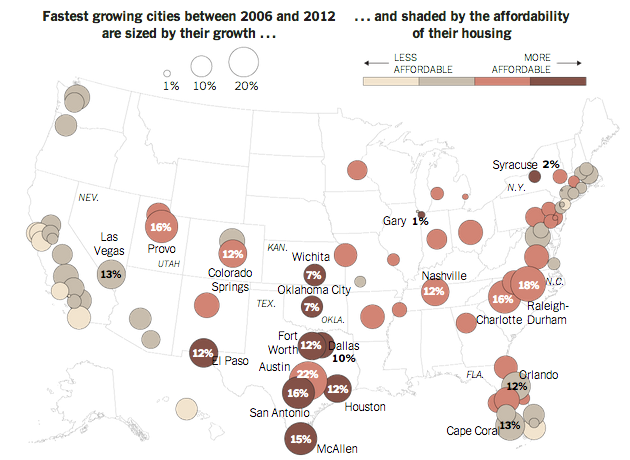 The regional trends shown in the map at the core of the piece are also fascinating. Naturally I am left wondering about why certain countries. Does spending on infrastructure, GDP per capita, disposable income levels have any sort of correlation if even only on a national and not city level? But what really irks me is the content that wraps around the map. First the donut chart, I think my objections to donuts—at least the non-edible kind—are well known. In this case, I would add—or sprinkle on—that the white gaps between the languages are unnecessary and potentially misleading. Secondly, the cities are eventually displayed upside down. Thankfully the labels are reversed so that city names are legible. However, the continually changing angle of the chart makes it difficult to compare Douala to Luanda to Alexandria. A neatly organised matrix of small multiples would make the data far clearer to read. In short, I feel this piece is a good step in the right direction. However, it could do with a few more drafts and revisions. Credit for the piece goes to Allan Kamau. 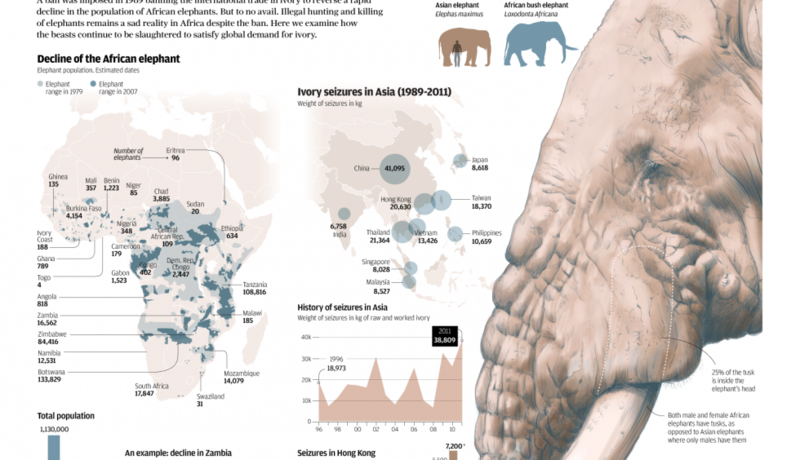 The South China Morning Post had a fantastic infographic detailing the hunting of elephants for their ivory. Despite bans to make such hunting illegal, the problem continues and is worsening because of the Asian trade in ivory. Credit for the piece goes to Adolfo Arranz.